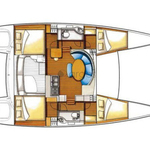 In 2008 has been produced vessel Lagoon 380 named Allegro. 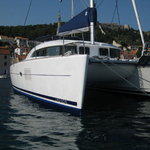 This sailboat is based in harbor Sukosan in region close to Zadar in Croatia. 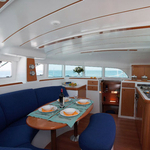 You can accommodate up to 10 passengers on the boat Allegro. Scheme of berths is 10 (8+2). There are 4 bedrooms located below yacht's deck. Allegro is equipped with 2 toilettes. 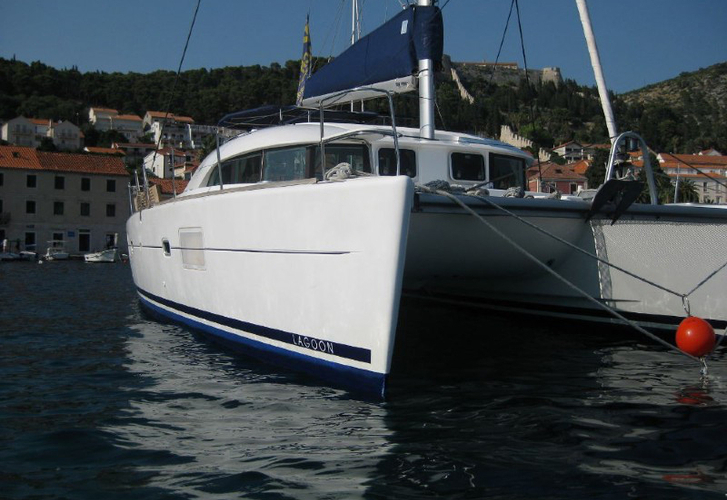 Read about more yachts by clicking on this link: Catamarans Zadar. Tank for fuel is 200.00 l liters capacious , water container has up to 600.00 l liters. In this yacht is installed motor 2x29 hp. With 11.60 meters of lenght and 6.63 m of width Allegro offers enough space for comfortable sailing. Lagoon 380 Allegro is equipped with: Autopilot, Gps plotter, Radar, Bimini top, Anchor electric windlass, refrigerator in cockpit, Dinghy, Radio / cd player, Bed linen, Mainsail with lazy jack. . Security caution is 2000.00 EUR. Get more other vessels by going here: Catamarans Sukosan.